The ‘through and through’ approach shoe placed as one of the best products of the year in Gear Patrol’s recent hiking footwear review. Here we look at the key features and technology that helped the Alnasca earn its spot on the 2018 shortlist. 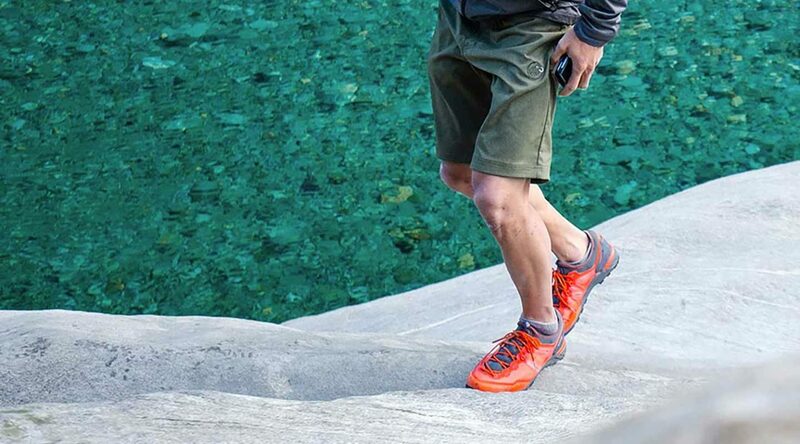 Mammut’s 12.3oz shoe is “…a solid option for everyday hiking, especially in rugged terrain,” writes Tanner Bowden for Gear Patrol. The Alnasca Knit Low combines proven approach shoe elements with innovative features to create a product that’s both technical and reliable. The distinctive tongueless design fuses an adaptive upper with a two-tier midsole, and a specially designed MICHELIN outsole, to provide a complete and comfortable hiking experience. From top to bottom, this highly adaptable shoe has an impressive anatomy in-keeping with Mammut’s heritage and expertise for alpine excellence. The Alnasca’s double shell upper construction offers the perfect fit. The coated synthetic mesh ventilates and delivers high levels of protection and abrasion resistance on irregular and sharp rocky terrain. Traditional extended laces remove the common, and annoying, problem of lacing pressure points on long walks. 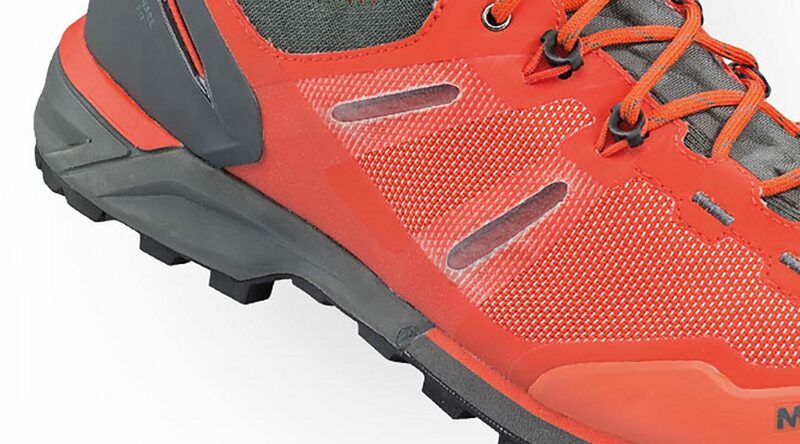 While Base Fit® webbing transfers power from the lacing area to the soles to increase safety and comfort. Mammut’s modern elastic sock is another really nice addition to the upper. The 3D knitted material promotes a snug and precise fit that’s unique to every wearer. Mammut and Michelin have reunited for the Alnasca. The pair struck upon an unbeatable formula when they launched the award-winning Nordwand Light Mid GTX last year. Mountaineering know-how melds with expertise in traction and rubber compounds to improve comfort and grip when climbing and on the approach to the rock face. 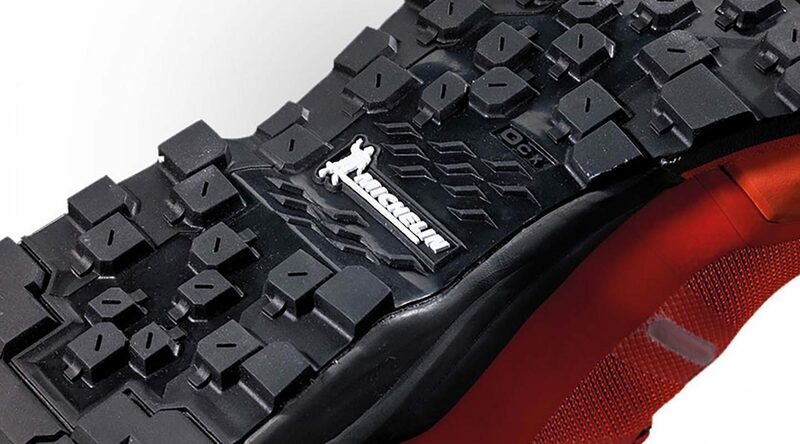 The MICHELIN sole is extra-grippy and uses a special lug design for sturdy movement across uneven ground. The solid Poro wedge at the forefoot of the mid-sole increases precision on approaches, while pleasantly soft EVA at the heel provides a cushioning effect when walking. You really get the best of both worlds with this bold and intuitive design—and with every aspect of the Alnasca for that matter. Premium comfort, protection, durability and stability are all on show here, and we’re big fans. Find out more about the Mammut Alnasca Knit Low here.